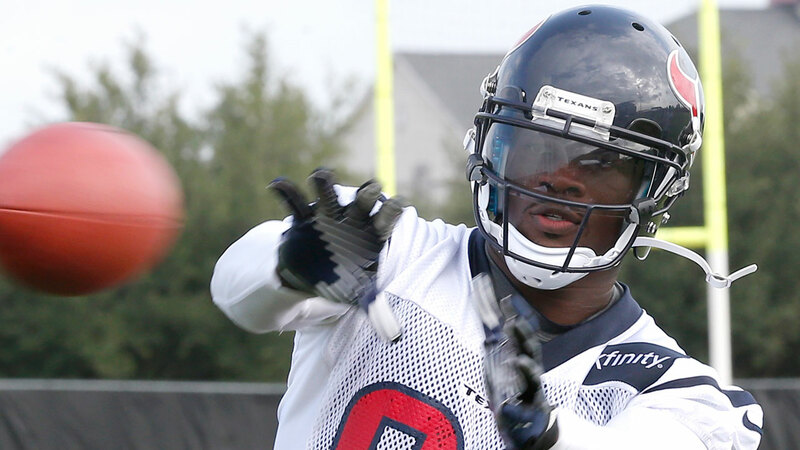 Andre Johnson thanks his mom in heartfelt letter. HOUSTON -- Former Houston Texans star Andre Johnson penned a heartfelt letter to his mother following his retirement announcement. Andre Johnson thanked her for everything she did for him. "I was taught, by an amazing woman, that how you enter is the same way you should exit, mom, I love you for all that you gave and sacrificed," Andre wrote on Instagram. Back in 2003, the seven-time Pro Bowler talked with his mom about growing up in Miami and acting up in school. His mom, Karen Johnson, enrolled him in a new high school, which changed the course of his life. "I'm going to send you where no one else knows you and you know nobody," Karen said. "I just didn't want him getting with the wrong crowd." "So the rest is history," Andre added. He also thanked the Texans organization and his Uncle Andre for supporting him over the years.